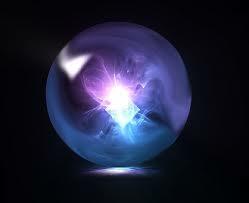 I believe we all have inherent psychic ability. For me it boils down to “The gifts you don’t use, you will lose” – if you aren’t mediating, exercising your mind (and your body), or practicing some simple techniques on your own, then this spell won’t help you. If you want to open your third eye or have a vision, the first key and first step is meditation. I don’t recommend this spell for people who don’t know how to meditate. If you can’t control your thoughts and quiet your mind this spell could be disastrous for you. Blow out the candles and thrice repeat “So mote it be” sleep with the necklace under your bed or wear it/carry it with you as a charm. Thank you for visiting the site! Thank you for sharing it with your friends! Thanks for liking this post on stumble and Thank you for visiting again! Please leave any thoughts, comments, suggestions and all other replies below! I am so happy and grateful that you came by!